James Litherland has been part of UK Rock since the sixties, probably best known as a member of Prog Rock pioneers Colosseum. Often the offspring of famous musicians forever stand in the shadow of their more famous parents, but Litherland's son is the former Dubstep DJ (cue puzzled looks on our readers' faces), Modern Pop darling and Mercury Prize winning musician James Blake. Here on Litherland's third solo album, you won't find the Prog of old or the minimal electronic R'n'B of his son (if there was, you wouldn't be reading about it here), but instead you get solid, laid back Blues Rock. In recent years, Litherland has taken a more relaxed attitude to what he does and this comes out in the grooves. This is a melting pot of British-influenced Blues, think John Mayall ('Back 'N' Blue'), Van Morrison ('What You Want') and Eric Clapton in his JJ Cale mode ('Close To Me' and 'Miss You Blues'). The piano ballad 'Unconditional Love', replete with a lengthy sax solo, offers a change of pace and sounds like a classic Pop Rock ballad that might have charted in the seventies or eighties. 'At Least I Didn't Bore You' is like a light hearted Van Morrison tune and it's a love song for those relationships that are long in the tooth. There's Country rocking on the blues harp assisted 'Pink Corvette' and the soulful 'Can't Live Without You' that Stevie Winwood would be at home on. The gently funky 'Naughty Boy' gets a tad close to Dad dancing and is the least successful track. This album doesn't dive off a cliff into crashing waves. It finds a comfortable spot in the shade and dips its feet into the warm water and lets it lap between its toes, easing away your tensions. There's no flashy playing, it's about songs; solid and upright, gently groovy. Litherland has a decent voice that is surprisingly soulful – he holds the tune, creates the vibe and has no time for histrionics or showboating. The same goes for his guitar playing. He finds his sweet spot, a lovely squeezed tone that's highly melodic which conjures up late nights, joy, heartache and regrets cushioned by the caress of the Blues. 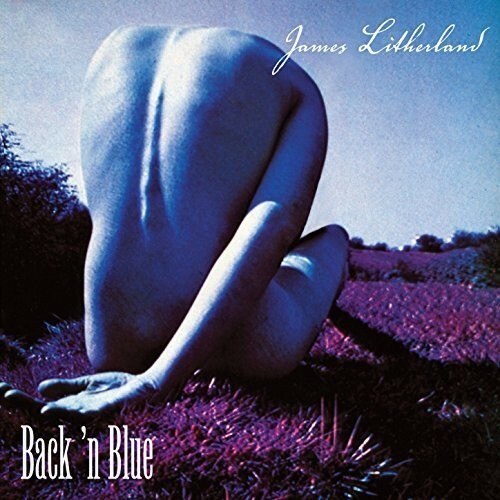 There's no boundaries trying to be pushed here, but if you want a set of tasteful Blues compositions that are well played and sung, then James Litherland's your man.